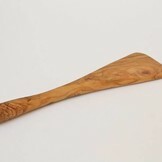 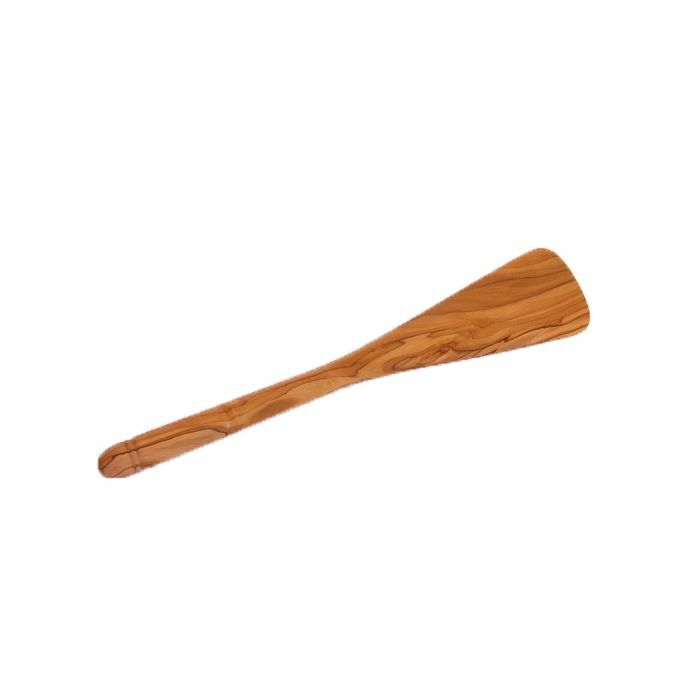 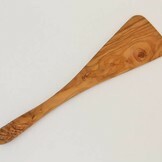 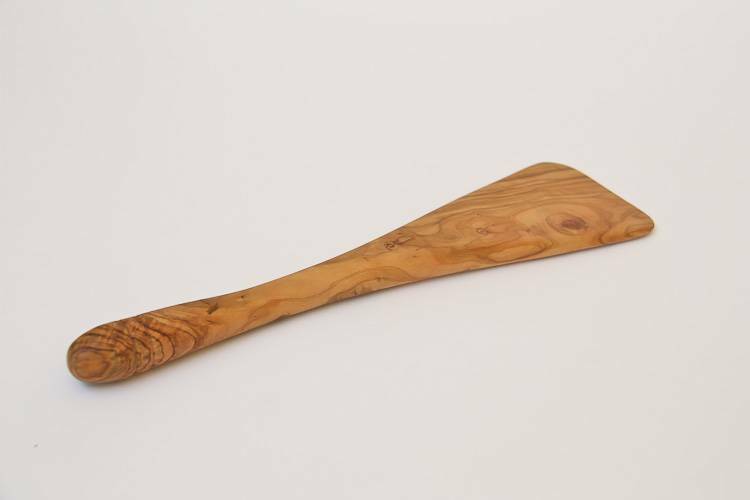 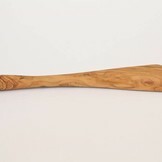 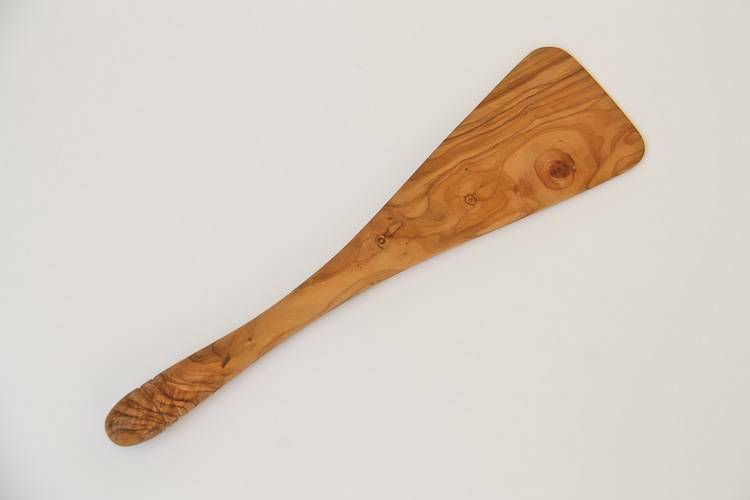 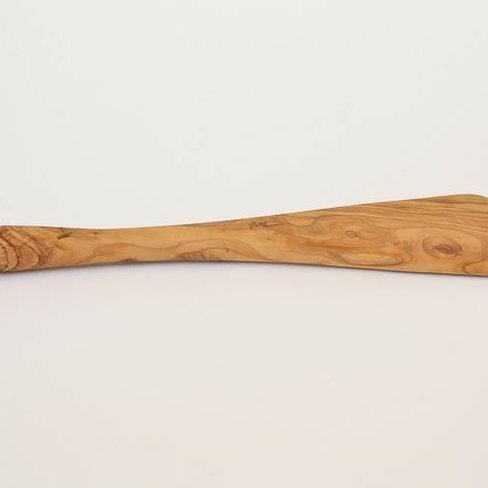 Olive Wood spatula with round handle. 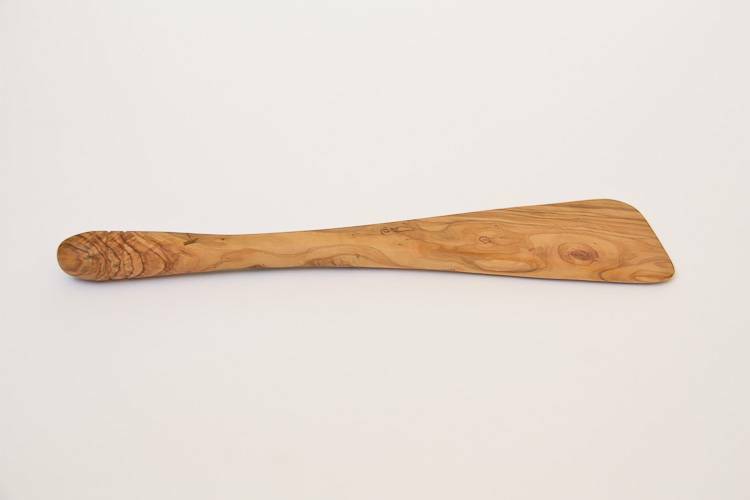 A spatula with the length of 24.1 cm. 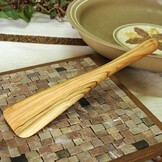 Handmade from the finest olive wood and finished with a coating of a natural food-safe wax.